Our colourful Roll-Up Mattress from Thailand will transform your life! 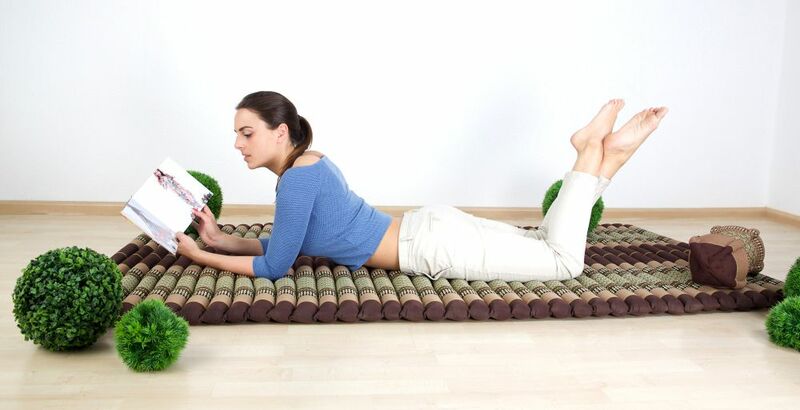 Quickly unrolled, they serve well for relaxation, yoga, camping or as guest beds. Because of their natural Kapok filling they are ideal to be used on the floor. Although they're thinner than our comfortable folding mattresses, they still feel very soft and the special kapok fibre filling shields off cold from floors well. Owning one of our Thai mattresses gives you an ideal item for yoga exercises or for working out. Their special structure allows them to be used outdoors, too. They are light, can be transported well and are ready to be used in seconds.